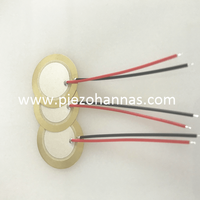 Pzt piezo ceramic actuators can be fabricated by using the inverse piezoelectric effect of piezoelectric ceramics, and are used in the automotive field to drive electric rearview mirrors, electric windows and doors, power seats, and the like. This kind of driving can greatly reduce the volume of the motor, it has high control precision, is free from electromagnetic interference, has no noise, and can be directly used for linear drive control without converting the rotary motion into a linear motion conversion mechanism. In the development of automotive control injectors, Bosch introduced the third generation of piezo controlled injector common rail injection systems in 2003. The main components of this system is to achieve piezoelectric injector function are piezoelectric actuators. They are hydraulic posts, servo valves and nozzles. 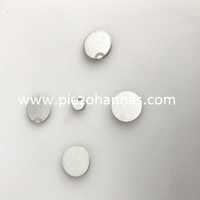 The piezoelectric crystal cost is 30 mm long and consists of 300 layers of piezoelectric ceramic sheets with a thickness of 80 mm. This multilayer piezoelectric element is pre-assembled for automotive applications (temperature 40 to +140 °C high vibration). The module is housed in the injector and has a working stroke of approximately 40 m. This piezoelectric ceramics ring is designed to have no mechanical force acting on the nozzle needle through the push rod, the motion quality and friction are greatly reduced, and the injector stability and fuel injection error are better than the usual solenoid valve control injection system.it is significant improvement. The tight connection between the servo valve and the nozzle needle allows the needle valve to respond directly to the action of the piezo actuator. The delay between the start point and the fuel injection start point is approximately 150/xs, which results in the high needle. The minimum fuel injection rate has good valve speed and repeatability. Car noise has become a major factor affecting the driving environment, and traffic accidents caused by vehicle noise are not uncommon. When the car is driving at low speed, the brake pads contact the rotor to generate vibration, sometimes as harsh noise. This noise does not affect the performance of the brakes, but it can lead to unnecessary replacement of the brake pads and the addition of gaskets, noise-cancelling materials and other components for noise elimination. Installing a simple piezoelectric ceramic brake in the brake piston of the car, and apply a certain frequency "jitter" to the support plate of the internal brake block, which will effectively suppress the vibration that produces sharp noise, so that it can change in temperature and humidity. And the brake system works in the normal wear and tear. This device is simple and practical because it does not require the installation of a detector or logic system to determine the appropriate control frequency. In car noise, the noise from the mechanical vibration of the engine is mainly, the use of vibration isolation is the main way to reduce noise. An active suspension for reducing large vibrations under engine idling conditions is designed by using piezoelectric ceramics. 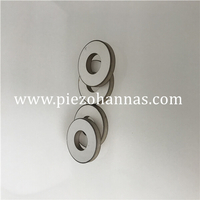 The principle is to use Pzt ceramic ring transducer to drive the large piston in the suspension, and the displacement displacement of the small piston connected to the large piston. 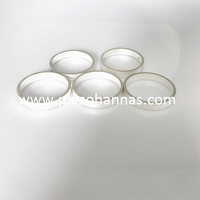 The displacement of the electric piezo ceramic is amplified to obtain a large displacement amount required for vibration reduction under the idling condition, and the vibration of the engine under the idling condition is well suppressed. In the high-speed driving of cars, tire failure is the most worrying and most difficult to prevent for all drivers. It is an important cause of sudden traffic accidents. Traffic accidents caused by punctures account for the majority of the total number of accidents. Maintaining standard tire air pressure and timely detection of tire leakage is the key to preventing puncture. The Tire Pressure Monitoring System (TPMS) is used to automatically monitor the tire pressure in real time while the vehicle is running, and to alarm the tire leakage and low air pressure to ensure driving safety. The current mainstream TPMS product is a TPMS with battery, which requires a battery.Providing power of piezoelectric ceramics ring manufacturing inevitably brings some drawbacks, such as large size and heavy weight; battery life is limited and needs to be replaced regularly; when the temperature is severely reduced, the battery capacity will be affected and reduced; the battery chemical will cause the environment problem. Therefore, how to provide energy for TPMS under the condition of no battery, that is, the passiveization of TPMS,which has become the main direction of researchers research in recent times. The power generation characteristics of piezoelectric ceramics offer the possibility of a passive solution for TPMS. The piezoelectric ceramics installed in the tire are continuously squeezed by the continuous pressing action in the rotation of the tire. According to the positive piezoelectric effect, the piezoelectric ceramic can continuously generate electricity and continuously provide energy power for the TPMS. According to this, a piezoelectric hair in TPMS is designed for electrical device.